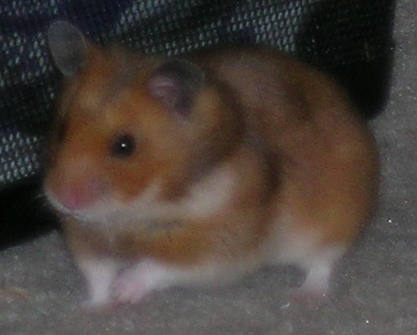 Lina, unlike most domestic hamsters, did not come from a pet store. In order to protect our source, a well known International lab supply company, we unfortunately can not say from where she was purchased. This said, she is like no other hamster we have seen. She actively seeks us out and spends time with us to play. She also sings. Her song sounds like birdsong, only more complex, and less staccato. 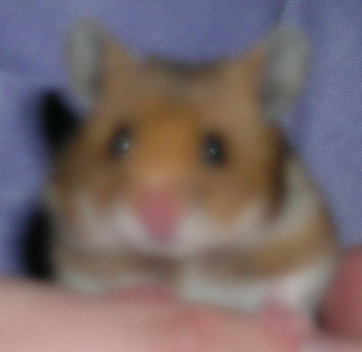 Lina is, what we'd like to describe as being, a house hamster. She has free reign throughout our house, as it's been upgraded to be safe, rewarding, and enriching for her. It's Lina's birthday! She's exactly one year old. We converted a closet into a playroom for her. The sub-floor is wood parquet, atop which is foam rubber, and on top of that is a vegetable-dyed all cotton carpet with rubber base. Not visible in the image, but to the left of the white slide is a 10 gallon glass tank filled with moist soil for digging, as well as a two foot long planter filled with spinach sprouts. Lina enjoys playing Godzilla in her garden. Most batches of spinach don't last more than four to five days under her assault. She will purposely jump off the edge of the glass tank to land on - and crush - any vertical plant growth in the planter. She obviously enjoys trampling greenery. 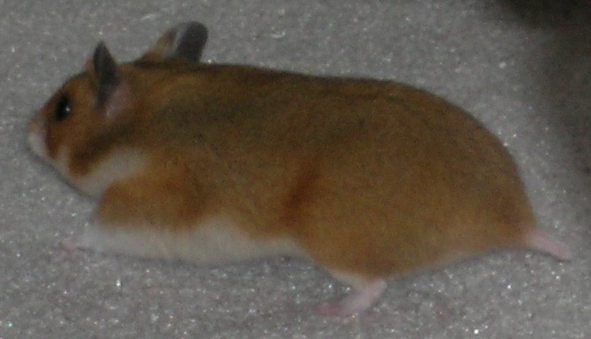 Lina's diet consists of three different brands of seed mixes, hamster pellets (she doesn't eat them), any insects unfortunate enough to wander into our house, matzah, vegetable-oil fried egg, baked sesame cookies, fresh spinach, various yogurt treats, the occasional spoon of vanilla ice cream, and milk. Unlike most domestic animals (E.G. 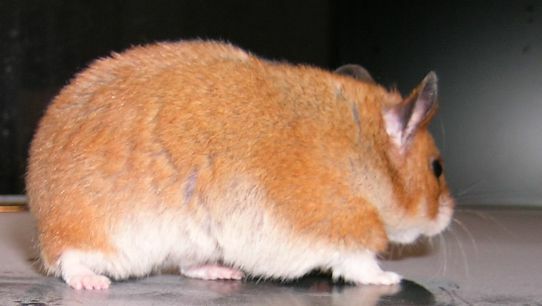 dogs & cats), hamsters are able to digest the sugars in milk without distress due to a novel pre-gastric fermentation pouch. If she is given a choice between 2% milk and water, the water will languish, untouched, indefinitely. 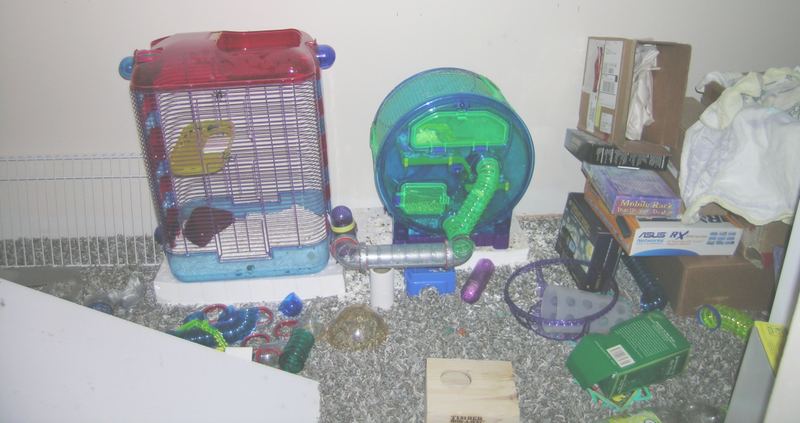 Interestingly, there have been two scientific studies that have confirmed our finding that hamsters prefer milk over water.